Fellowship Previews: Death Comes to Valiant for “MASSACRE” in HARBINGER RENEGADE #5 – Coming in July! Death Comes to Valiant for “MASSACRE” in HARBINGER RENEGADE #5 – Coming in July! "The death that occurs in HARBINGER RENEGADE #5 is going to have a profound effect on the trajectory of the Valiant Universe for at least the next year," said Valiant Editor-in-Chief Warren Simons. "HARBINGER has always been about the stakes and real-world consequences of power in practice. 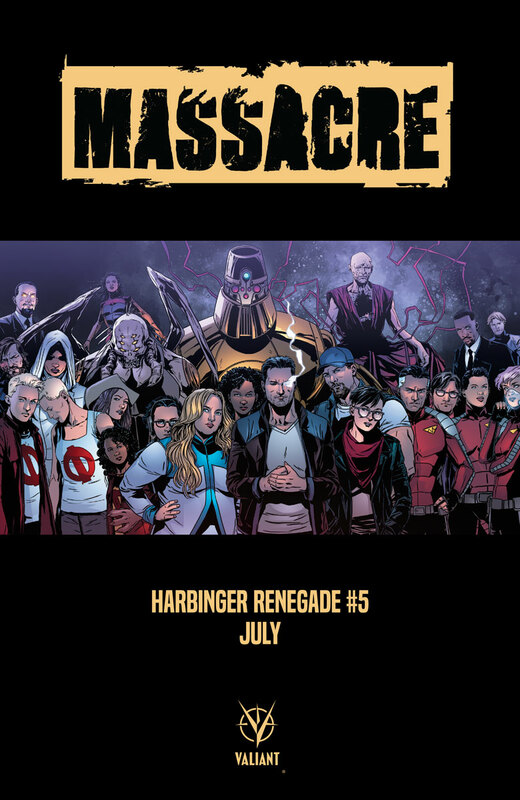 The events of 'MASSACRE' are going to rip through the Harbinger Renegades like a shockwave. This is a key moment that will directly lay the groundwork to HARBINGER WARS 2." 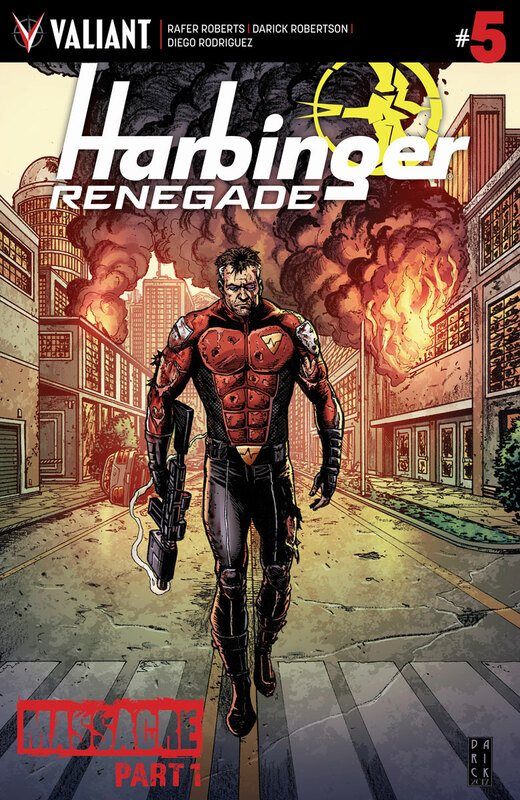 "Everything we’ve already done in HARBINGER RENEGADE and everything we are going to do is akin to placing bricks along a path," writer Rafer Roberts told Comic Book Resources. "We are building a road; a road that leads to war."